Roe Memorial Events – Save the Date! Essay Contest Submission Due Tonight! 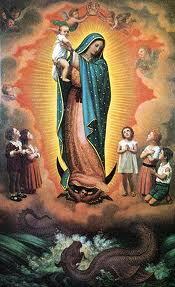 "Some nine million Aztecs were converted to Christ by the power of the image of Our Lady of Guadalupe. At that time, the Aztec peoples were practicing human sacrifice. As a result of the image's presence among the people, their hearts were converted to the true God and the practice of human sacrifice was abolished. A key theological dynamic operating here is that Our Lady turned the Aztecs from a worldview of despair to one of hope, from a conviction that the gods were against them to a conviction that God was so much for them that He became one of them. We can listen to stories of Aztecs cutting out their victims' hearts or placing their heads on poles and say, "Oh, how terrible that was!" But America is not doing any better, as the hearts and heads of innocent babies are destroyed by abortion! The image is therefore being used again to change the hearts of our people." Please join us in prayer for the intercession of Our Lady of Guadalupe, Patroness of the Unborn, in this Novena. Choose Life License Plate Launch Celebration Tonight! The Choose Life license plates are now available for purchase here. The National Night of Prayer for Life unites parishes nationwide in an effort to end abortion through Eucharistic Adoration and prayers of reparation during the night hours spanning the Feasts of the Immaculate Conception and Our Lady of Guadalupe’s first apparition to Saint Juan Diego. The “hour of unity” is from 11:00 p.m. to 12:00 a.m. (CT), so that all praying in all four time zones can be linked in prayer across our continent. Click here for a partial listing of participating parishes in the Dallas Diocese. Sponsored by National Night of Prayer for Life. Time: 9:00 p.m. - 1 a.m.
Conscience protections for pro-life health care providers are under threat. The House version of the Fiscal Year 2012 Labor/Health and Human Services Appropriations Bill includes the Abortion Non-Discrimination Act (ANDA) which codifies conscience protections and enables Federal courts to provide the remedies needed to stop discrimination. Click here to contact your Representative and Senators Cornyn and Hutchison and urge them to support conscience protection in this appropriations bill. For More Information: Visit the National Committee for a Human Life Amendment (NCHLA) web site here. ROE MEMORIAL EVENTS – SAVE THE DATE!! 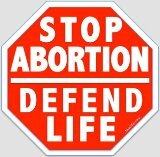 On January 21, 2012, Dallas will mark the 39th memorial anniversary of the U.S. Supreme Court's tragic Roe v. Wade decision of January 22, 1973, making abortion available on demand in America through all 9 months of pregnancy and leading to the death of over 52 million unborn children. Join Dallas Bishop Kevin J. Farrell, Auxiliary Bishops Mark Seitz and Doug Deshotel, Fort Worth Bishop Kevin W. Vann, diocesan clergy and thousands of people of faith to pray for an end to the scourge of abortion on our city and country, to witness publicly, and march and rally for a Culture of Life. Click here for a schedule of events including Roe Memorial Rosary and Mass, followed by the ecumenical Dallas March for Life and Rally. More information to come and available at prolifedallas.org/roe. Voices 4Life is sponsoring a young adult (21+) trip to experience the thrill and excitement of marching with half a million pro-life friends at the National March for Life in DC on January 23rd. Possible activities will include attending the Cardinal O’Connor Conference for Life, touring DC, the March for Life and much more. For more information and to register, visit prolifedallas.org/voicesmarch. Early registration discount has been extended until Dec. 12. Youth For Life is going to Austin for the Texas March and Rally for Life on January 28! The trip is open to youth, grades 8-12. Register and learn more at prolifedallas.org/yflaustin. Early registration discount ends Dec. 9. We are also in need of Safe Environment-cleared chaperones age 21+. YFL is offering trip scholarships to 3 essay contest winners (submissions due by 8 p.m., tonight, Dec. 8). Learn more here. What happens in 24 hours? The earth turns once on its axis. 34,560 hours of video is uploaded to Youtube. The first cellular division happens to a newly conceived baby. 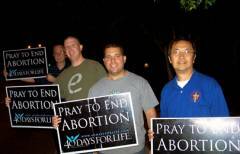 LifeSiteNews contacted each of the three pro-life warriors and asked what compelled them to commit to a vigil that some would call extreme. The vigils took place at the Southwestern late-term abortuary in Dallas, a major vigil site for the 40 Days for Life campaign that wrapped up last month. Continue reading. Ian Wilmut, the scientist who achieved international notoriety for cloning the sheep Dolly, is now urging his fellow scientists and researchers to abandon embryonic stem cell research. His comments at a conference follow on the major news that Geron, a cloning company the [U.S. government] funded to undertake the first human clinical trials involving embryonic-like stem cells, abruptly canceled the trials and got out of the embryonic stem cell research business. Continue reading.